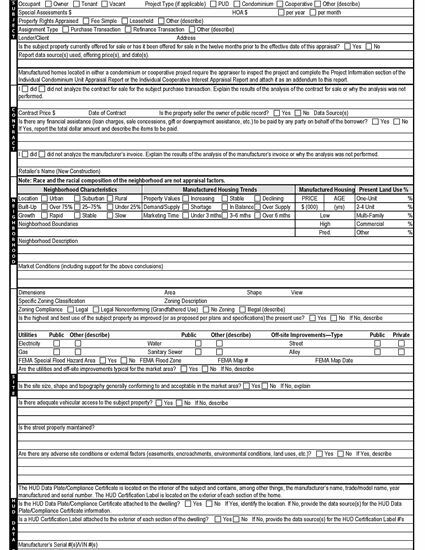 Use this free Freddie Mac Form 70B to prepare an appraisal report for a manufactured home. 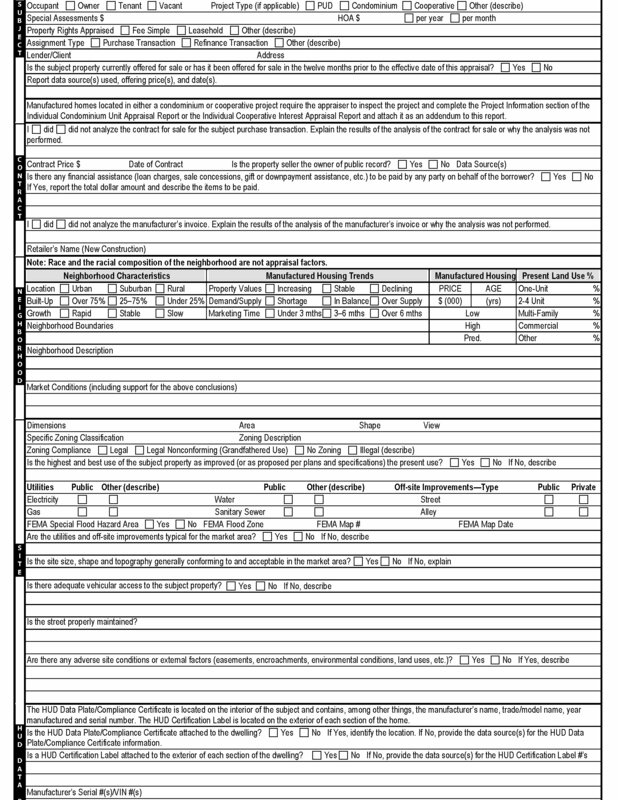 This form can be used for manufactured home appraisals anywhere in the United States. This appraisal report is for one-unit manufactured homes, including those in planned unit developments (PUD). The USA Manufactured Home Appraisal Report is a free form provided by FreddieMac.com.